A plastic water bottle. Size depends on the amount of chickens you have… or just make more than one! An awl or sharp device that can poke holes in the plastic bottle. Treats to fill the bottle. The girls eyed the treat bottle with some suspicion at first but then Dumpling, who is afraid of nothing and no one, stepped in to check it out. As soon as she started pecking at it, the others showed interest. Even Onslow the Rooster came in to feast. 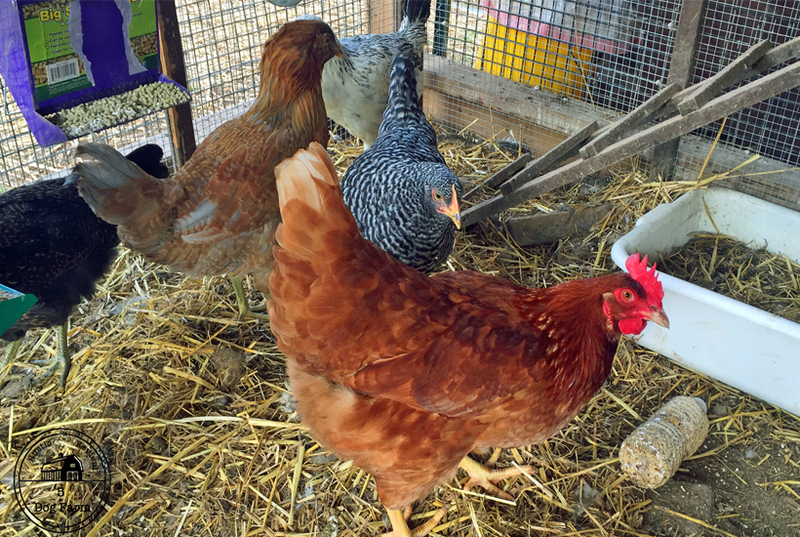 What kinds of things do you do to keep your chickens happy?